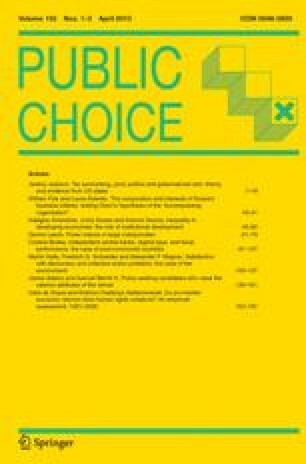 In this paper it is argued that political parties may have incentives to adopt a partisan view on the working of the economic system. Our approach is based on a dynamical spatial voting model in which political parties are policy oriented. This model revolves around two interrelated issues x and y. The policy maker sets x directly. There exist two views on the relationship between x and y. Model uncertainty confronts policy makers with the problem of the selection of a model to base their actions on. We show that if voters have imperfect information about the working of the economic system that model selection contains a strategic element. Policy makers are inclined to adopt a view on the working of the economic system which fits in with their preferences. There is no inherent logic that places monetarists to the right of New Economists. They have different models of economic mechanism, but they need not have different political values. A conservative can be a Keynesian and a liberal a monetarist. These combinations are in fact surprisingly rare. James Tobin, 1974,The New Economics One Decade Older, p. 62. I am greatly indebted to Peter Broer, Ben Heydra, Jos Jansen and Wilko Letterie for many helpful suggestions. Furthermore, I would like to thank an anonymous referee for his comments.